*If you grant us permission to use this review, We only post first name and last name initial. *If your service was for a Nest product, please provide the email address associated with your Nest Account. Installer was friendly and professional. He seemed to know exactly what to do and everything is working perfectly. Very satisfied. Very good technician. Also goes the extra mile to make suggestions. Good aesthetics. Takes time to make things look professional. Very friendly. Took time to understand what we had already done and then took action on our unusual situation. Turned out to have the wrong common wire connected to a dual zone control board, quite unusual. Stayed through testing, made sure I was satisfied before leaving. Great experience! Installer was on time and got right to work resolving our issue! We are cool as cucumbers and loving it!! Technician was great! Arrived early and promptly fixed my thermostat – then set up my new smoke detectors. He was equally knowledgeable about Nest software as the hardware and gave me a great demo of the Nest iPhone app. Loved his enthusiasm for home automation and look forward to working with him again on the next phase of my project! Prompt, efficient, friendly, thorough. Great job! Guy was fantastic. Called ahead of time. No rush on phone. Very professionally handled. In person, even better. Professional, clean attire, courteous. And fixed the issue! Prompt, efficient, friendly, thorough. Great job! Tech was excellent. Went above and beyond to complete the job. The technician was professional and did a good job of explaining the installation process. The job was completed smoothly and efficiently. Installer was great. He walked me through everything I needed to do and helped me fix the situation. He also did a bunch of helpful research for me. Great tech! An extremely knowledgeable and professional installer. He made the process as smooth and easy as possible. We had a technical complication and he was able to brainstorm a solution and came out of his way to fix it in a timely fashion. He went way above and beyond the call of duty. I was very impressed with his performance with installing 3 thermostats and 8 Nest Protects. Excellent customer service: Fast Friendly and efficient. 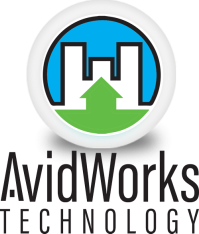 I would recommend AvidWorks for all your installation needs. Truly a pleasure. My wife and I were suffering from heat and we really did not know what to think. But when the installer arrived things got better in a hurry. He explained everything to us. What was going on with the wiring and why the heat would not work. He was really masterful at his job. He made the final repairs and man the house got really cool. Thanks to AvidWorks. This installer was the best. Thank you for your service. My problem with my Nest Thermostat was fixed. Your Technician was very friendly, professional and was a joy to work with. He had great work ethics, like putting on “booties” over the shoes so as not to dirty the carpet. Thank you again and I would definitely call you again if I need you. Our installer was AWESOME. He really knows his stuff about Nest products and home automation. Installer was professional and extremely nice. Helped me narrow down and figure out the issue, then gave me steps to fix everything. Thank you!! Our Nest wasn’t working with our heater when we moved into our new place. We called Nest a few times and also asked some technicians to come take a look. But neither worked. So we decided to get a Nest Pro as a last try. The tech came to our place on time. He checked our Nest setup and found the issue right away. I am really surprised how experienced he was and how fast he troubleshooted the issue. He added a common wire from the heater to Nest and Nest finally worked. He also helped clean up things after the work and went through the Nest setup for me. We really appreciated the tech's work. He did an excellent job. Installer did a great job installing my Nest thermostat. He explained how it works and even gave me info on things I didn’t know about my home and furnace. You can see how passionate he is about his work. Definitely recommend him. 5 stars and a medal for this guy. All our reviews are kept on file.